For your wedding day, you deserve the best. Who says you can’t afford one of our delicious, elegant creations? 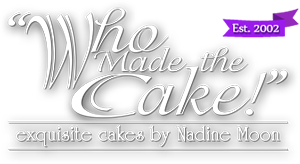 Three tiers, or ten… call 713-528-4719 for a complimentary consultation with Nadine to design a cake that will leave your guests raving, “Who Made the Cake!” Our pricing is more competitive than you think! 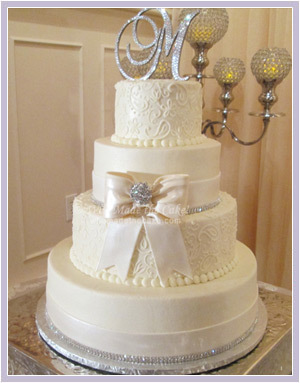 Our custom designed cakes are priced by the serving. 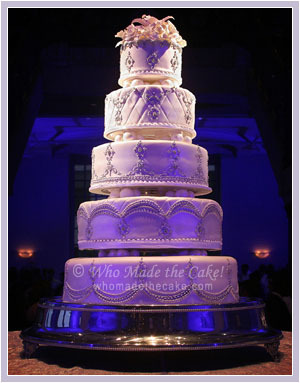 Any cake style can be designed in a size to fit your event. Sugar Paste Flowers Priced according to design. 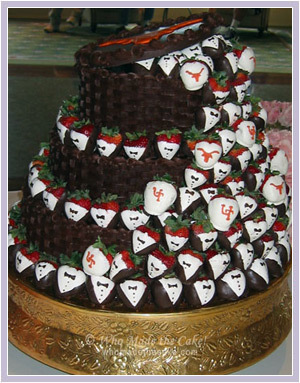 Glazed Fruit, Chocolate Dipped Strawberries, Tuxedo Strawberries and Sugar Frosted Fruit are also available. 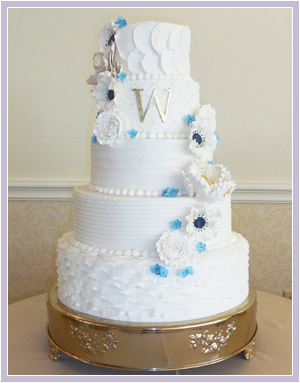 **Pricing will vary based on the complexity of the cake design. Sunday & Monday Delivery: $75.00 and up. To ensure availability, please place your order as early as possible. 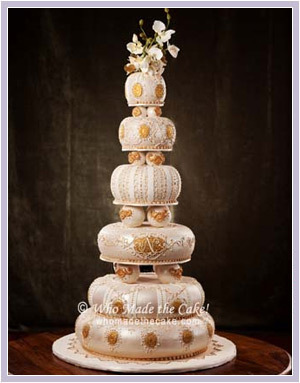 In order to maintain our impeccable standards of superior quality and detail, only a limited number of cakes are scheduled each week. It is recommended that weddings be reserved 3-6 months in advance. Smaller cake orders are taken based on availability. It is suggested that small cakes be reserved at least 3-4 weeks in advance. Unfortunately, during busy wedding seasons, dates may be closed out earlier. Please note that your date is not held until you have signed a contract & paid your deposit.